BUY PLASTIC LEACH DRAIN DIRECT FROM THE MANUFACTURER. 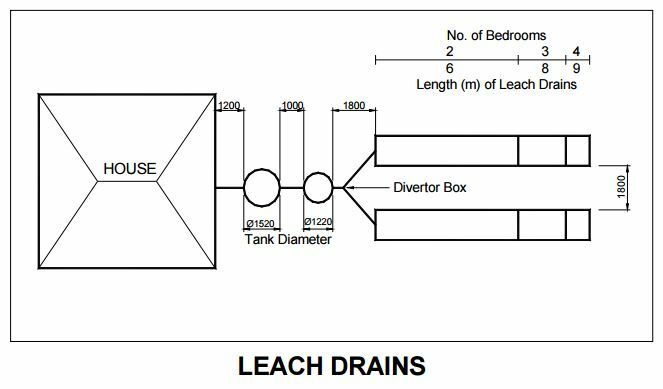 What Is A Leach Drain? Plastic leach drains are tube-like structures made of either plastic or concrete and buried underground. Seepage holes in the sides and base assist with seepage of effluent. 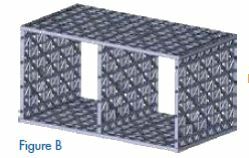 The leach drain design is governed by a number of factors. 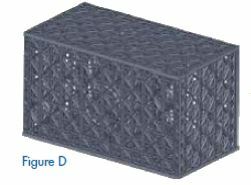 IMPORTANT: Every Novaplas Drainwell Leach Drain module is supplied with a base, or bottom panel. This will increase the life cycle of your system. Other suppliers only supply a base panel in the first module to reduce their costs. Don’t risk buying an inferior system. Septic tanks consist of either one or two watertight cylindrical tanks as well as one or two sets of drainage cells which have seepage holes in the sides and base. Pipe connection is very simple due to a 90mm cut out guide and a 150mm cut out guide in the Drainwell panels. The Drainwell Plastic Septic leech drain will accommodate up to 225mm OD PVC pipe. Are Drainwell Leach Drains Approved for use by the Dept. of Health WA ? Yes, the Department of Health WA has approved Drainwell Modules for use specifically as Leach Drains. Who makes Drainwell Leach Drains ? Novaplas Group in Canning Vale manufactures Drainwell Leach Drains as well as Polypropylene Soakwells. 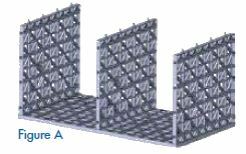 Drainwell modules are 755mm (long) x 400mm (wide) x 440mm (high). 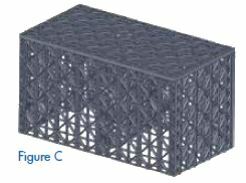 The modules are placed either end-on-end, or side-by-side to achieve the required length. 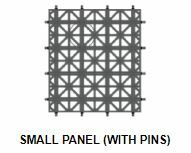 Place 1 Large Panel onto a firm flat surface and insert 3 small panels with the 400mm side (side with long pins) into the large panel. Use a rubber mallet, if required, to completely lock the panels together at every stage. Place a large panel on to the top of the small panels. Turn module over and place a large panel on to the top. Turn module over and place final panel onto the top. Drainwell Leach Drains are generally more cost effective than concrete leach drains. This is due to factors including the manufacturing process, as well as transport costs. Plastic Leach Drains are light weight and, hence, very easy to install. Concrete leach drains are heavy and generally need a lifting machine during the leach drain installation. 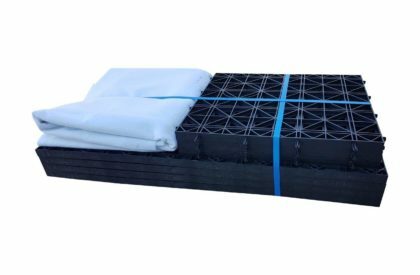 Plastic Leach Drains are supplied as an unassembled leach drain kit so that transport costs are minimised. Drainwell leach drains are made from 100% recycled materials, therefore, they are environmentally friendly. Plastic leach drains are chemically inert. As a result, they are not affected by harmful chemicals and will not split or decay. Concrete leach drains have steel reinforcing bars internally. Over time, the steel bars could rust and cause the leach drain to break down and fail. Drainwell Leach Drains have a rapid assembly and installation procedure so that your project can be completed quickly. Are You Searching For Plastic Leach Drains In Perth? ⇒ Made from 100% recycled materials, therefore, unharmed by chemicals. ⇒ Panels clip together easily by hand. 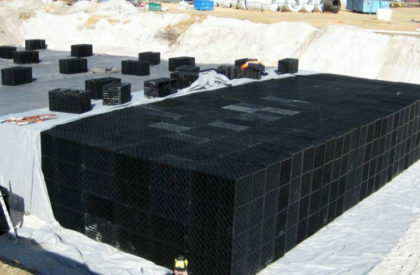 Soakwells are underground structures that collect and release unwanted water. 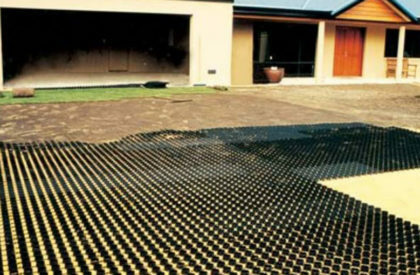 Grassrings® Turf Paving Reinforcement Mats protect grassed areas that are subjected to vehicle loadings.